The Year 2009 was surely a year of many events, good and bad. Much happened in past few months, when I was not Blogging here. Besides celebrating a contest Win (Click Photography event for Most Delish Picture– Gulabjamun), our Kid’s Birthday, our Marriage Anniversary, an engagement Ceremony of a dear Family member, the year end brought us close to one more occasion to celebrate, as soon as we stepped in year 2010. Yeah Sindhi Rasoi, turned Two…What a feeling ! I still remember last year when we were Celebrating the first Birthday of this beloved Blog of mine, I was overwhelmed by so many wishes, pouring in.This year I was preparing to celebrate the Day with something exciting and pleasant. But trust Life to give surprises! In my attempt to Renovate my Virtual Kitchen(Sindhi Rasoi), days passed into weeks and weeks into months. I kept struggling with various LOOKS for my blog, messed up with many THEMES, wasted hours in learning basics of codes and all, but at the end , Hubby dear took the charge, helped me out in fixing bugs, tweaking the look (of blog of course) and finally we are here, though late, but raring to go , to mark the Second Birthday of Sindhi Rasoi…Three cheers for us ! Coming to recipe part, it has to be something special isn’t it? Well there you go ! 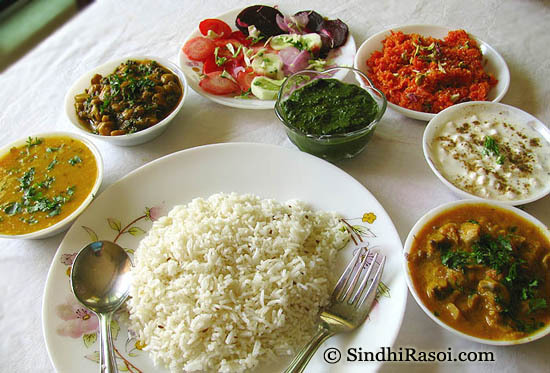 A Spread of Jeera Rice, Chana paalak, Mushrooms in Red gravy, Fry (Tadka) Dal, along with usual Raita, Salad, Mint coriander chutney and Gaajar ka Halwa, made in honor of some friends visiting us, sounds good to you? Jeera Rice was made simply by boiling Basmati rice with some salt and water till almost done. A tempering with a spoonful of oil and Cumin seeds, and later cooked on Dum for few minutes. Simple, aromatic Jeera rice went well with the Dal Fry, and Mushrooms and Chana paalak. Recipe of Mushrooms coming later (Or mail me at sindhirasoi@gmail.com to get its recipe in your Inbox). For now lets switch our attention to the wonderful combination of Vitamins, Iron, folic acid (from spinach) and proteins (from Chickpeas ). Boil soaked chickpeas with some salt till half cooked. For me , boiling chickpeas in a pressure cooker till 3 whistles of cooker, worked well. In the meantime, peel the onions and grind those along with, ginger , garlic, Whole garam masalas to a fine paste. In a pressure cooker, pour 1 tbsp of oil, add the onion paste and saute well till the paste changes colour to pink. Grind tomatoes and green chillies together and add to the onion paste which by now had changed to darker shades of pink. Saute well for few minutes and then add washed and chopped spinach and mix very well. Pour some water(not much as spinach cooks in its own juices), add some salt (remember there is already some salt in chickpeas , so be alert), and close the lid of cooker .Wait for 2-3 whisltes and put off the gas. Later, add the Half-boiled chickpeas, turmeric powder, coriander powder and saute well for 3-4 minutes, taking care so as not to break the chickpeas. Adjust the consistency of gravy by adding the reserved liquid in which chickpeas were boiled. Adjust seasonings and let the whole mixture simmer for few minutes on low flame till the chickpeas absorbs the flavors of spinach and Garam masalas. The consistency of final dish is semi dry. 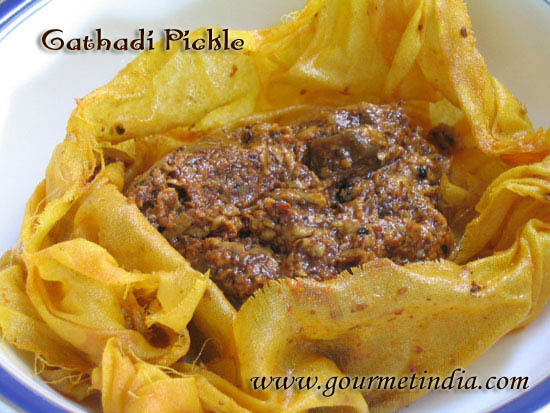 Goes well with rice, Pulao, or even with Roti . Welcome back, Alka. I am very glad to see you have started to post again. Chana palak and gajjar ka halwa look very delicious and the spread in the first picture makes me miss my home in India. Thank you for all your mouthwatering recipes. Deepak’s friend were very happy to come over to taste the delicous food! 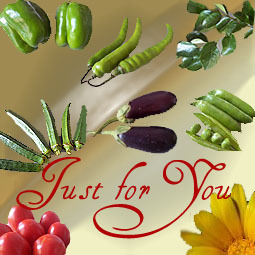 Enjoyed all the dishes especially the channa palak, mushroom curry and gajar halwa. Will bring a bigger appetite next time! Glad that you enjoyed the food, and of course we will wait for your next visit. Till then Take care ! Look at the spread wow, I am glad Alka you are back to blogging. 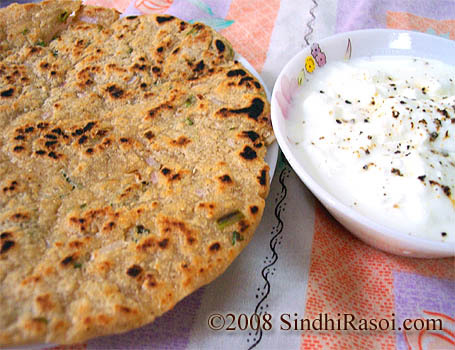 Waiting for sindhi recipes. Loved the look of your site. …Good job !!! Congrats for completing two years of ur blog. Chana palak recipe is also superb. will defintely try this recipe. Hope that u keep ur good work going on for many many years ………….. Awesome comeback! Delicious food. I’m drooling away! Welcome back Alka. Love love your new blog look. you have indeed cooked up a storm. Also love the categories and the way it is organised. What a spread!! Happy Birthday SR!! 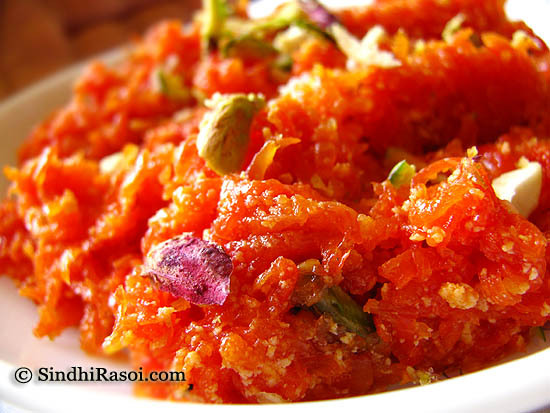 Welcome back with a lovely array of dishes…Gajar halwa is very tempting . 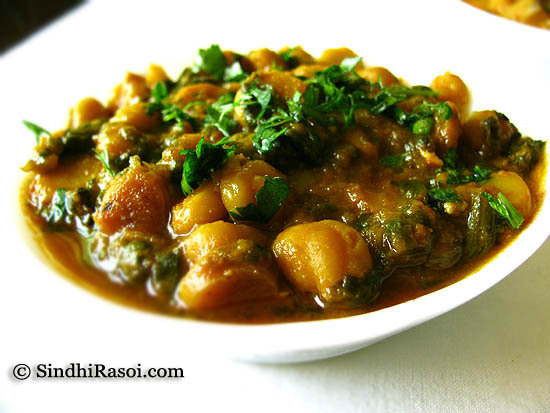 Adding palak to channa is a healthy twist! Welcome back and Congratulations on your blog anniversary! Welcome back Alka, Wishing you a wonderfuful year ahead. Missed all your wonderful posts and pics. The spread looks very delicious and tempting. How sweet of you Alka, there I was thinking I have been missing your posts..you were not posting here yet worked hard to contribute to BC..what a lovely friend I have!…the theme is rocking..will see if I can figure out that issue. The template still looks like it needs a wee bit cleaning..but looks so pretty really…of course not as pretty as the spread you have there…A big Congratulation to your awesome blog and wishes for many more such years to come! 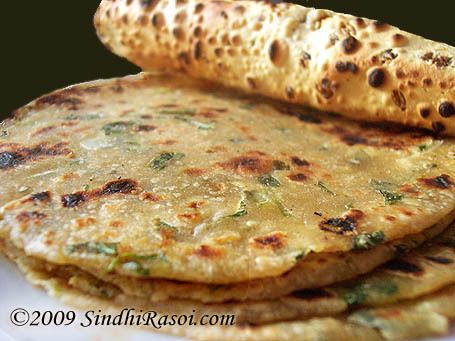 Happy Birthday, Sindhi Rasoi! And what a gorgeous spread you’ve put out to celebrate. I can’t decide what I like better – your gajar halwa, or the chana palak! Congratulations! What a tremendous success I have been with my family in my kitchen, thanks to your mouth watering recepies. Love the new look. Green – so soothing to the eyes. Hope you have even a greater second year. Congratulations! Glad to see you back with a bang. This chickpeas and spinach combination is a tasty one. Congrats on the second anniversary! I am feeling like jumping into the computer and grab the plate!!! Thats a fantastic, droolworthy channa paalak…looks delicious..
chana palak looks delicious.. i must give it a try.. btw please can you post Dal Pakwaan recipe.. Thanks everyone out here, Life’s good with so many encouraging people around ! Wow amazing come back, love the pics they are absolutely tempting and ofcourse family deserves our time first while that cant wait!!! Its like a dhamaka here, jeera rice is so good and congrats on winning the click event!!! Shall drop by for more!! !